This past week has been the most beautiful I've seen in months. The sun is finally shining bright through the windows and the flowers are starting to bloom once again. It's nice to see color and life after a long and drawn out winter. 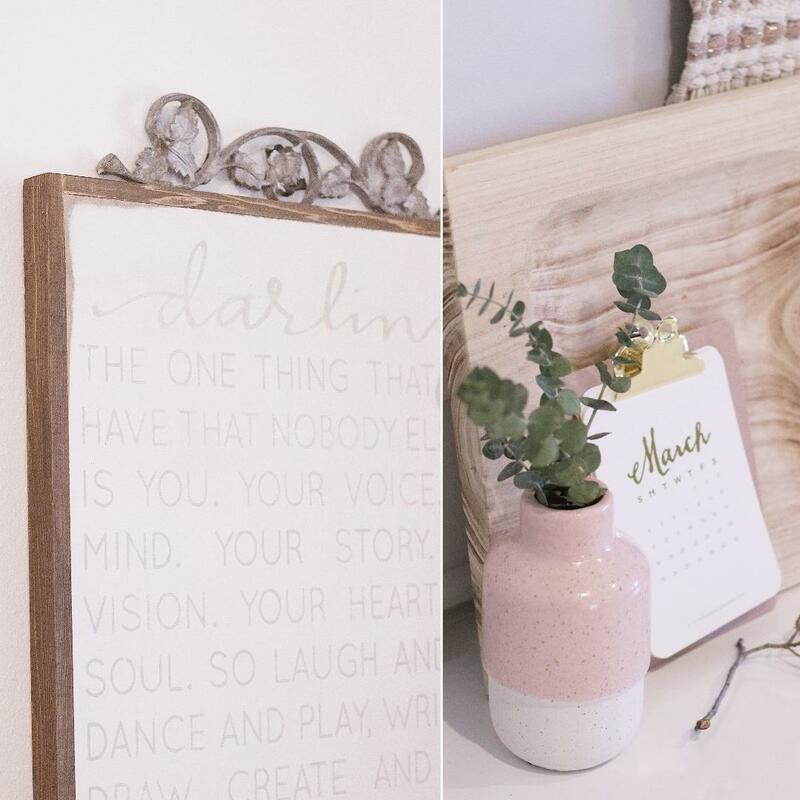 I spent this time adding dreamy color combinations, bohemian textures, and hints of wood tones to bring a fresh Spring look to the house. Favorite home catalogs from Anthropologie, Serena & Lily, and West Elm have kept me inspired during the process and I'm happy with how lovely everything is coming along. I'm also working with a few older furniture pieces, such as my sofa and dining table in this evolving space. So for now, I'll be highlighting their best features until we can swap them out for exactly what we want. Most of what I've purchased has been very affordable and/or on sale. I even did a couple of DIY projects to keep my costs down. 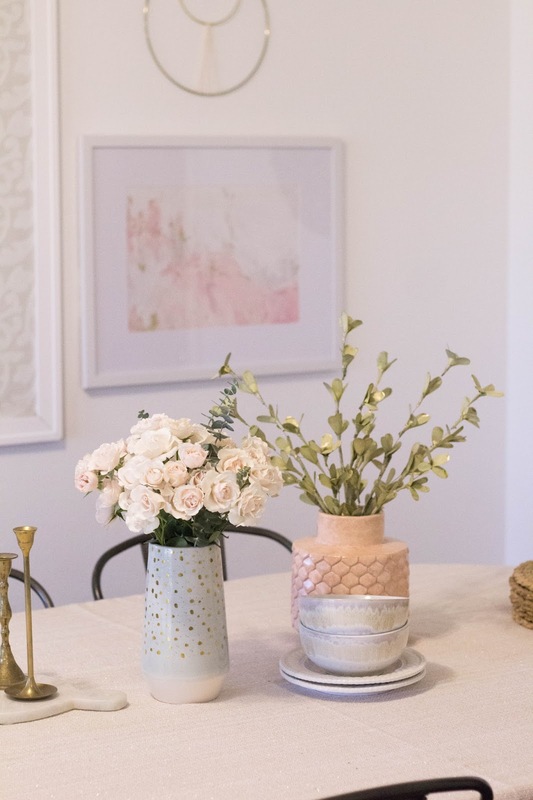 Decorating can be expensive if you let it, but there are definitely ways to achieve a beautiful and fresh space, while being kind to your wallet. 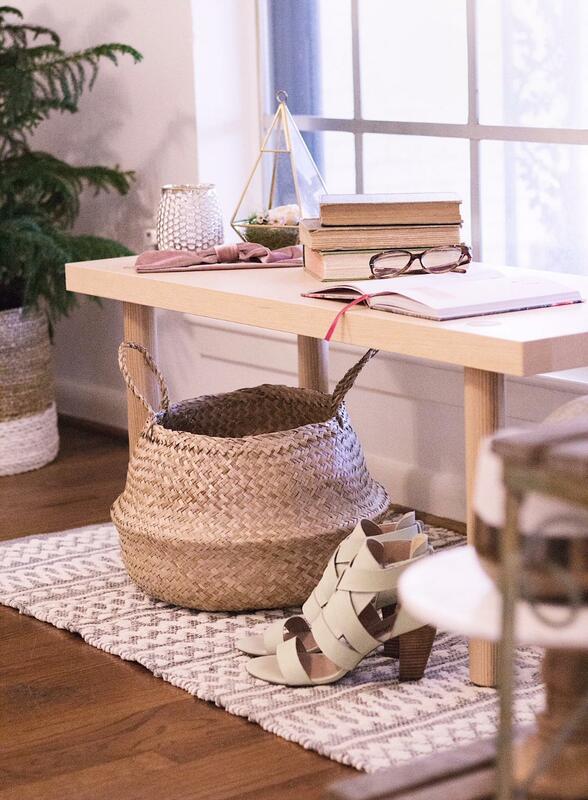 Start with a neutral color palette to give you a clean slate to work with. Shades of white, beige, wood tones, and soft grays are all great neutrals to begin with. This makes it easy to implement color through pillows, throws, rugs, wall art, and other decorative objects. 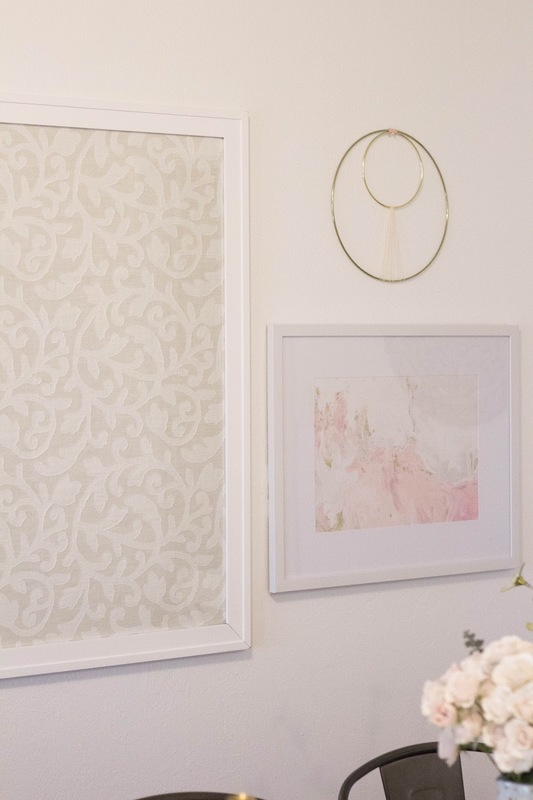 If you like to switch up your decor often like I do, this makes every transition into a new look a breeze. Spend time on Pinterest and other social media outlets, pick apart magazines (ex. Better Homes & Gardens and The Magnolia Journal), and visit your favorite home stores to get inspiration for the areas you want to decorate. Take notes on what you're drawn to ... is it brass details, certain patterns, styles of furniture, colors, etc. Once you've gathered what you love, create a digital inspiration board through a phone app like POTO, to help you stay on track and keep you from overspending on items you don't need. If you're shopping and it doesn't fall into the scheme of your inspo board, then most likely you can do without it. 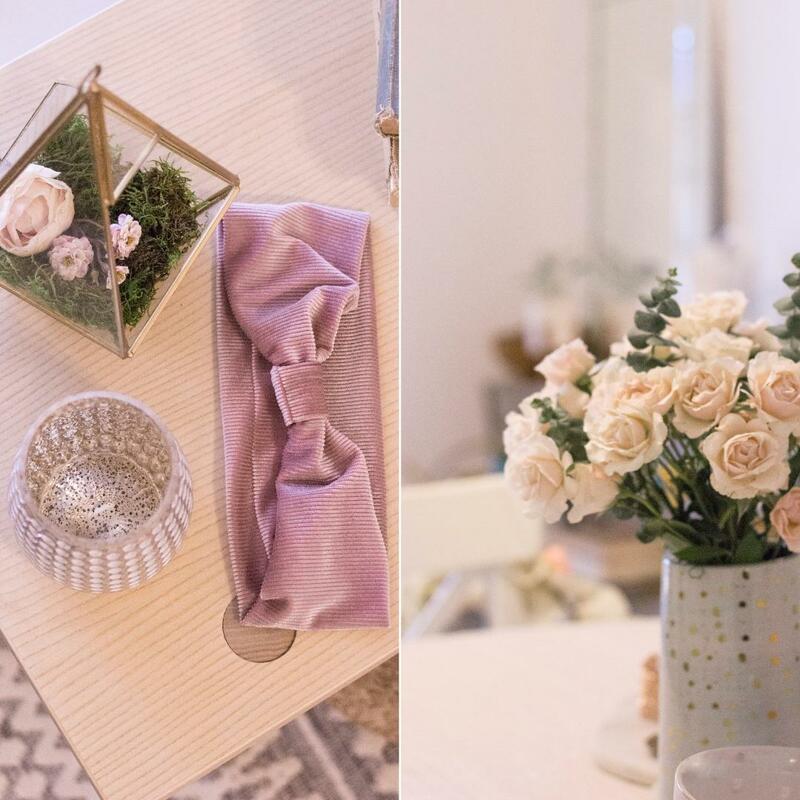 One of my favorite things to do, is to use pretty bits and bobs, along with some of my favorite wardrobe pieces to act as decor in my space. Stack a couple of vintage books together with your favorite pair of earrings and a bracelet on top, creating a beautiful vignette on your bedside table. Works perfectly also for accent and coffee tables alike. In my master bedroom, I have a decorative hook next to my dresser, where I like to display a single favorite dress or top of the moment. It acts as the perfect wall art piece in my bedroom. 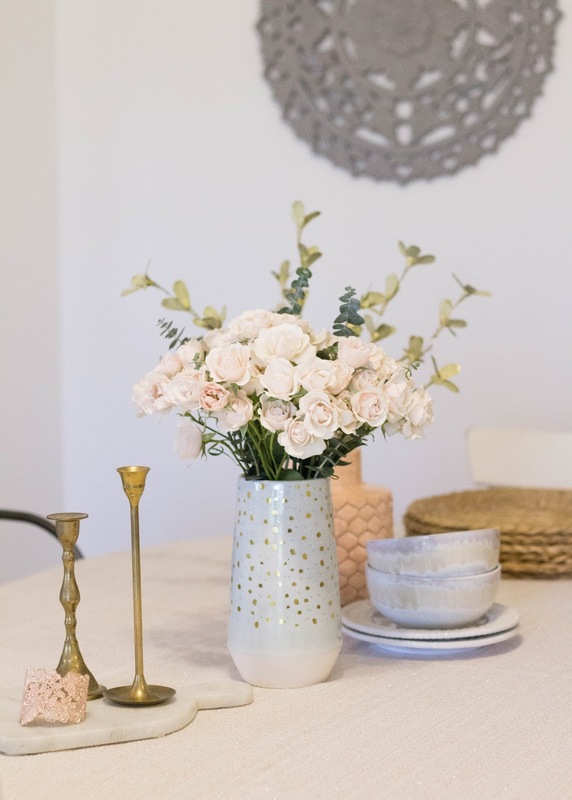 These are darling details you can incorporate into your design ~ I think you'll love, if you give it a try. Adding hints of vintage, evoke personality and gives you that lived in look. Vintage books, brass candle holders, trays, frames, and galvanized planters are among some of the items I have in varying spots in the house. Shopping vintage can be very affordable, but be mindful to search for tasteful pieces. Keep an eye out for unique and interesting patterns that go with the style you have in mind. Use your inspiration board as a constant reference. Shop small to begin with to create a balanced collection of both old and new. Here's a list of items I often find on sale or at bargain prices at my favorite stores that really elevate a room: mirrors, pillows, throws & blankets, large vases & pitchers, rugs, chairs, accent tables, dressers, and lighting. 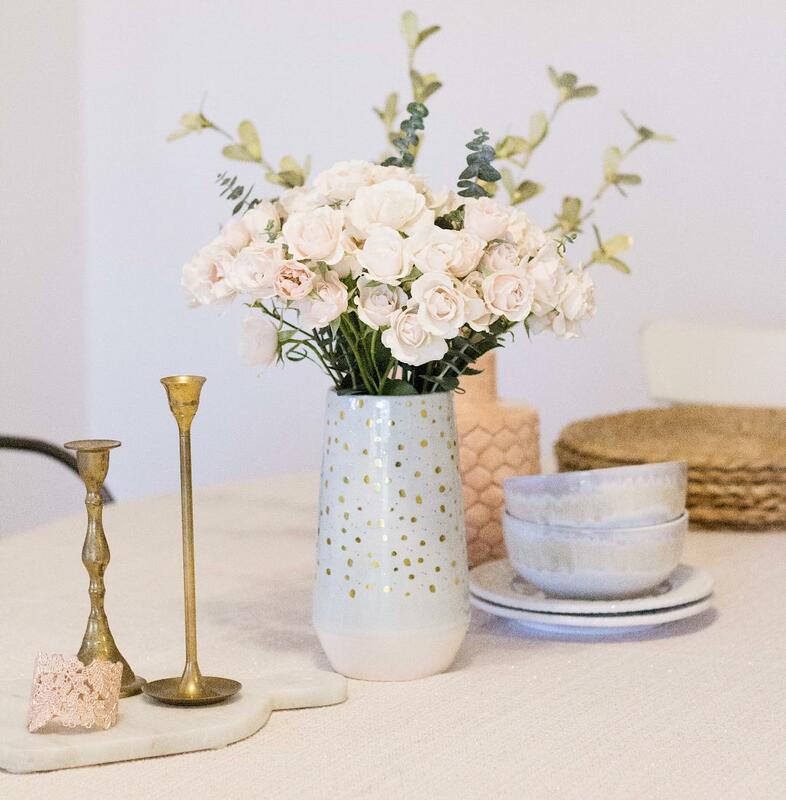 Before paying full price for big ticket items, first search discount home decor stores, such as Marshall's, Home Goods, and Hobby Lobby to see if they have the item(s) or something similar at a more affordable price point. Think velvet and brass. Marble and ceramic. Woven baskets and mercury glass. These are all textiles that are classic and transitional with the seasons. Creating a fresh new look for the Spring season is something we can all do. With a little strategic planning and smart shopping, the end result will be absolutely dreamy! Who's with me? !